A Public Screening of Mad City Chickens will be showing in the Duluth, Minnesota area on July 6th at 7:00 pm. The presentation is being sponsored by the Sugarloaf North Shore Stewardship Association and will be held at the Sugarloaf Cove Nature Center, 9096 (milepost 73.3) Hwy 61 in Schroeder, MN. 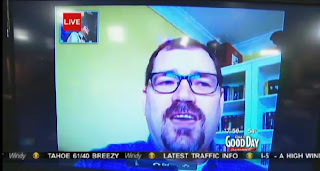 Video and screen captures copyright Sacramento Good Day. Hello all, I work with a young man with disabilities. I have set up his own Micro-Enterprise. He is now the proud owner of "Kurt's Kluckin Koop". This all started because of the Mad City Chicken movie that he watched daily...LOL. 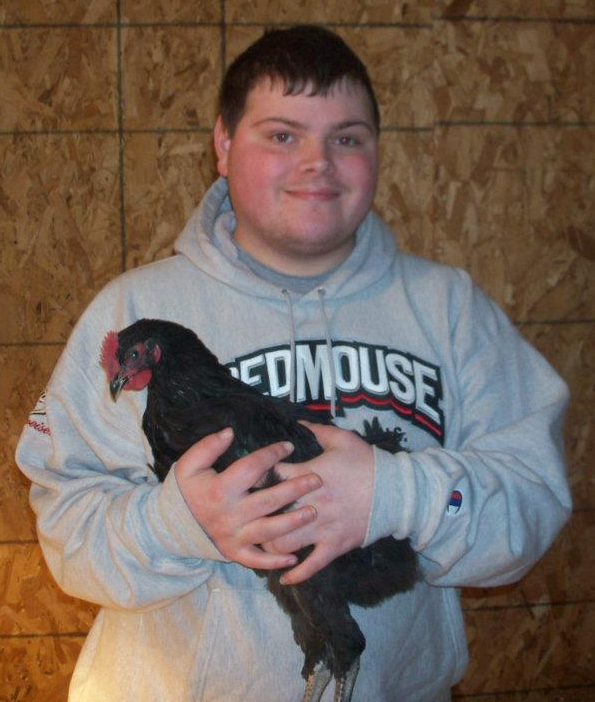 He takes a lot of pride in his hens and two Roosters "Rex and Max". He averages about 2 dozen eggs a day and is selling them from his barn. He also does chick hatching in an incubator. It's always nice to hear when our documentary has had a positive impact. Public Screening of Mad City Chickens on June 20th in East Troy, WI. The showing is being sponsored by the Michael Fields Agricultural Institute. Film starts at 7:00 pm at the Institute, W2493 County Road ES. 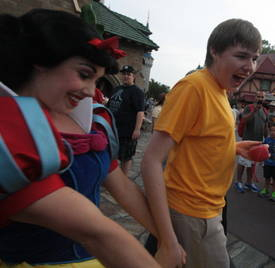 It was about two years ago that we first heard of Ben and his interest in a particular dark ride attraction at Walt Disney World. We'd stumbled across Stalk This!--the blog of Ben's father Ron Miles. 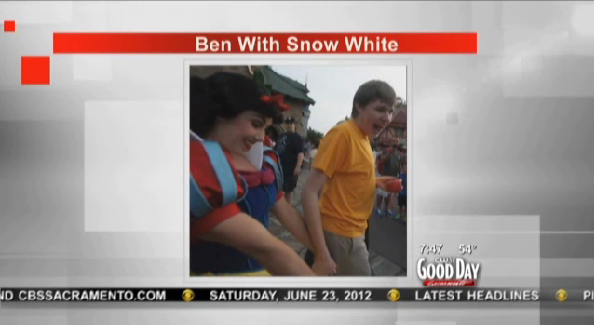 There we read about Ron's autistic son and the passion Ben had for Disney's Snow White character. It wasn't long before Robert had contacted Ron with a request to do a serious of blog posts for the Filmic Light site--The Boy Who's Experienced the Scary Adventures Nearly 3200 Times! Now after the closure of the Scary Adventures ride last week, Ron's blog has received loads of hits from people interested in Ben's story. So much so that Ron is now considering writing a book. Read Ron's six-part firsthand account of the amazing final night for Ben at his favorite dark ride. Also see stills and video on the Filmic Light from Robert's account of the final days. Robert's trip to Orlando to shoot more footage for our latest doc was a success. It was a short stay, just until today, but we now have more interviews and B-roll in the can. The project is beginning to take shape.